Vietnam and Thailand agreed to step up friendly and cooperative military relations between the two countries, based on the “National Defence Agreement of Vietnam and Thailand’s Ministries of National Defence” signed in September, 2012. The two sides reached the consensus during the working visit of Vietnam’s national military delegation to Thailand from March 11–14, at the invitation of General Sukumpol Suwanatat, Thailand’s Minister of Defence. Head of the delegation, Vietnam’s Minister of National Defence, General Phung Quang Thanh, highly valued the cooperation relations between Vietnam and Thailand, adding that the two countries should work together to foster bilateral and multilateral relations towards the formation of an ASEAN community by 2015. The minister affirmed the necessity of boosting friendship and cooperation ties to speed up the execution of agreements in national defence cooperation signed earlier by the two countries, particularly in naval cooperation. 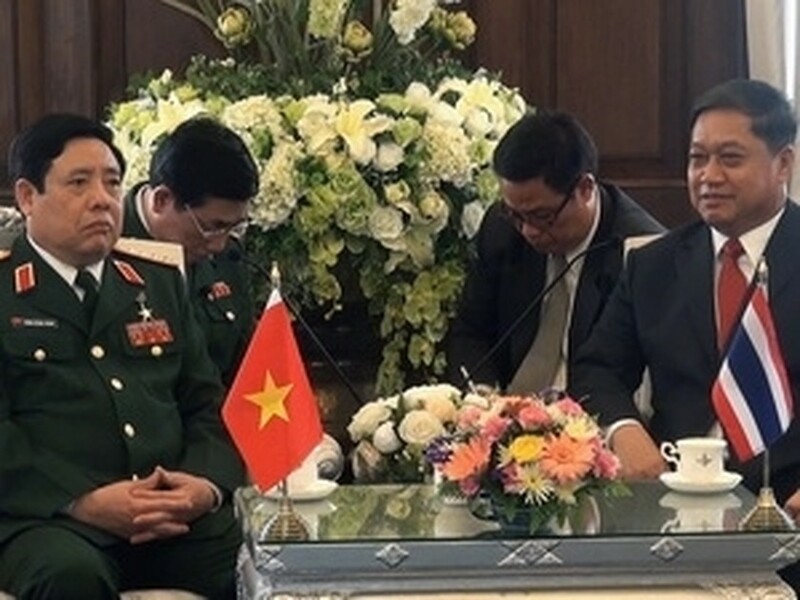 The Vietnamese defence minister’s visit aims to evaluate the two countries’ national defence cooperation, and look at detailed measures to foster future cooperation, enhancing friendship, mutual understanding and trust between the two countries and their military forces for peace, stability, cooperation and development in the region and the world.